The Global Fishing Watch just got stronger. 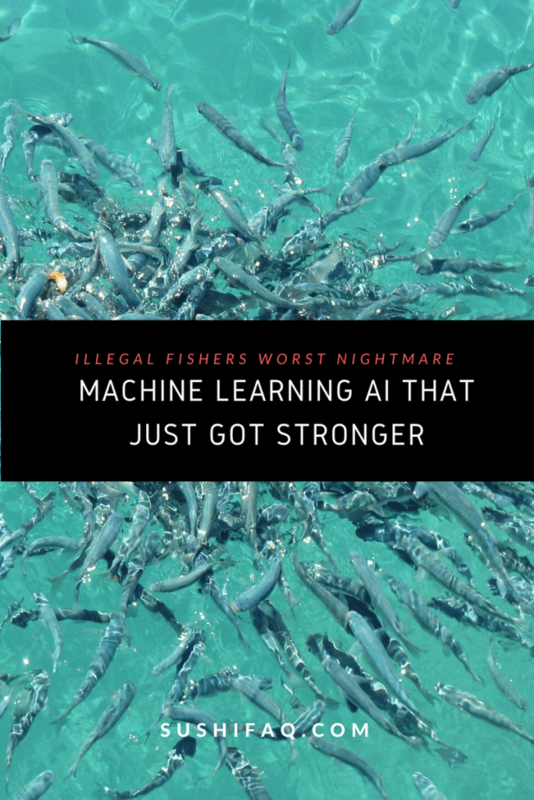 With the help of Peru and Indonesia, the sophisticated, futuristic “machine learning” AI that powers the entire program just got access to one hell of a lot more raw data. On June 7th, Indonesia published its proprietary data to the Global Fishing Watch, with Peru simultaneously committing to publishing their vessel tracking data to the GFB. These developments put formerly proprietary secret data in the hands of the masses. If you haven’t heard about crowdsourced fighting of illegal fishing, you need to check our our complete profile of the program. Why would countries publish their data for free? According to the UN, Indonesia gains 3 percent of its national GDP from fisheries, and Peru gains 0.5% of its GDP from fisheries. This can be compared Canada, with a rate of 1.84%, and the United States of America at 0.3%. While these numbers may seem low, they do not tell the entire story. Many coastal communities rely heavily on fisheries for employment and food sources. 95% of Indonesian fisheries are artisanal fishing, meaning that they are small scale, generally traditional or subsistence fishing. This style of fishing has a much lower environmental impact than large scale commercial fishing. Small scale fisheries and individual fishers can come under pressure from larger scale illegal fishing operations. In short, they are exactly the type of fisheries that can most be helped by programs such as the Global Fishing Watch. From the same source, Peru has roughly a 10% artisanal fisheries industry by raw tonnage. While the two countries have very different economies, they both stand together against illegal fishing. By partnering with the Global Fishing Watch, countries can take important steps towards protecting their sovereignty and their full marine resources. We wanted to learn more about this incredible program. We arranged three questions for one of GFW founding partners, Oceana, that we are excited to share with our readers. 1. The Global Fishing Watch is a partnership between governments and citizens. In your press release, we see how governments are stepping up. But what part have citizens played? Global Fishing Watch has an array of different types of users. Citizens comprise a large and important user group that continue to contribute to the success of the tool: reporting suspicious behaviors to enforcement agencies, publishing insights on social media, sharing the tool with others and offering suggestions for new technology features. Yes, we expect and hope more countries will follow suit. There are numerous benefits for governments to publish their vessel tracking data in Global Fishing Watch, including providing them a more complete picture of fishing activities in their territory. With more data comes more knowledge and with more knowledge comes better decisions. Our oceans deserve that. By combining their data with Global Fishing Watch, governments and their citizens can make the most informed decisions to protect the oceans, better tackle illegal activities at sea and protect their marine resources. 3. What are the biggest successes that Global Fishing Watch has achieved to date? The success of Global Fishing Watch is best measured by the impacts it creates. Impacts like assisting in getting a vessel fined for fishing illegally in a protected area, or convincing a local community to protect its fishing areas from encroaching fleets, or identifying the magnitude and scope of transshipping – all of which Global Fishing Watch is already doing. We may never know the full extent of the impacts as the tool is freely available for everyone to use, but we do encourage users to tell us stories about how it helped them. Would you link to learn more about the recent data publications of Peru and Indonesia to the Global Fishing Watch? Read the official press release.